The B.Sc. (Hons) Biotechnology is a versatile modern-day science course that helps students gain fine balance between a defined study sequence and flexible course options. 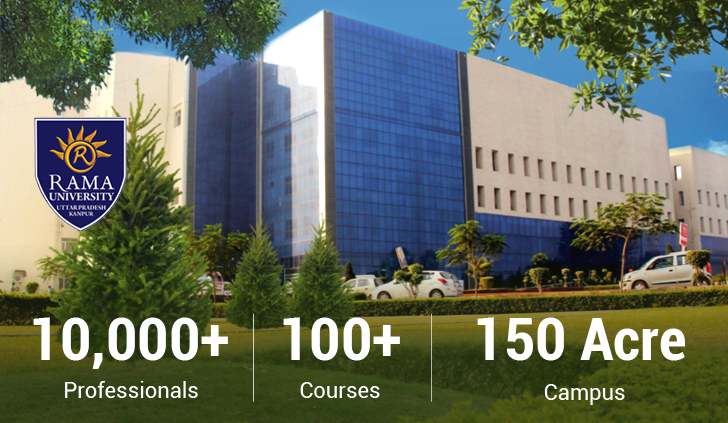 At Rama University, the unique programme gives students an understanding of bioinformatics, plant tissue culture technology, food, agriculture, animal genomics and forest biotechnology. A field of applied biology, the course uses living organisms and bioprocesses in engineering, technology, medicine and related fields that require bio-products. Biotechnology draws upon the sciences of biology, chemistry, physics, engineering, computers and information technology that helps in preparing scientific breakthroughs. B.Sc. (Hons) Biotechnology graduates have highly promising opportunities in various public sector organizations. These professionals are demanded in Research & Development Institutes, Pharmaceutical Companies, Government Laboratories, Colleges and Bio-processing Industries. Graduates in B.Sc. in Biotechnology are demanded in many prestigious organizations abroad. Fee for B.Sc. Biotechnology is Rs. 50,000 per annum.